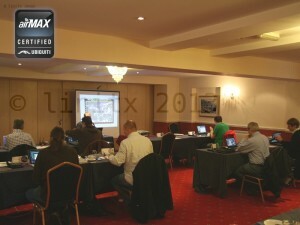 Ubiquiti AirMax Certified Course a success! We are finalising the dates for the rest of the year but our next training course is May 2nd-3rd 2013, so if you can’t make that one, keep an eye on our Ubiquiti training page as these courses are booked up very quickly indeed. Within a week of it going ‘public’ all places on this last one were already filled.